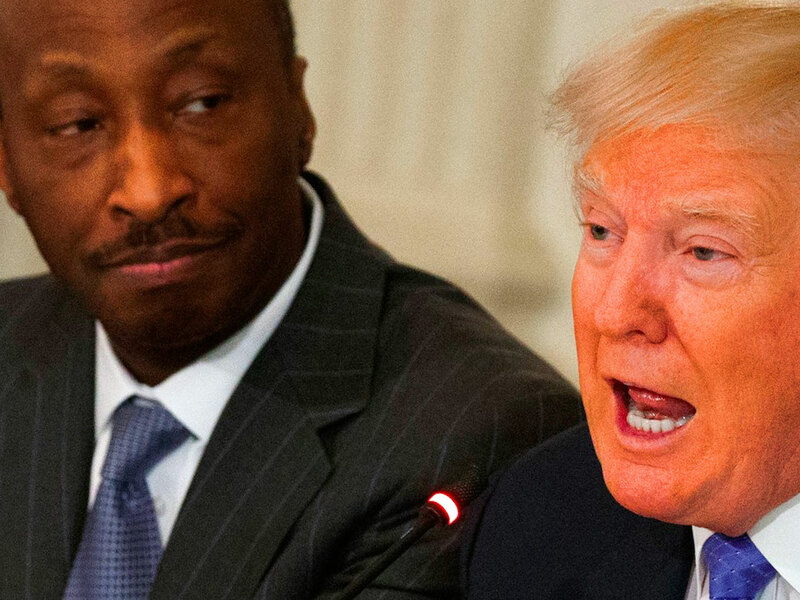 Ken Frazier, CEO of pharma giant Merck, figured out that Trump is bad for business. Trump immediately took to Twitter to insult him and accuse him of ripping American patients off. I am resigning from the President's American Manufacturing Council. Our country's strength stems from its diversity and the contributions made by men and women of different faiths, races, sexual orientations and political beliefs. American's leaders must honor our fundamental value by clearly rejecting expression of hatred, bigotry and group supremacy, which run counter to the American ideal that all people are created equal.